I’m fortunate to live in a community with a beautiful, thriving historic downtown. Sure, we have a Wal-Mart, Olive Garden, and Home Depot, among many other corporate chain businesses. We also have a large number of independently owned businesses, shops, and restaurants. “Shop local” is a common mantra around here, and I support my local businesses whenever I can. Although I’ll admit it’s sometimes easier said than done. 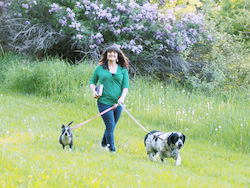 Living in a smallish town can sometimes make it difficult to find specialty items and let’s be honest, Amazon has changed the way we shop and live our day to day lives. 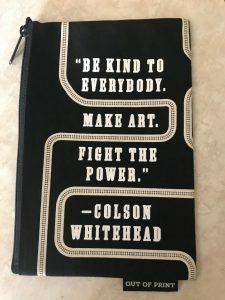 So when my local indie bookstore, The Country Bookshelf first posted about their planned event for Independent Bookstore Day, I wrote it in my planner immediately and scheduled my day around it! I arrived shortly after opening time, eager to get my hands on some of the exclusive merchandise and do their book scavenger hunt. I haven’t shaken all the habits I acquired living in large cities in the past, so I expected the place to be packed and all the goodies spoken for. Fortunately my old habits still serve me well most of the time, and I only saw one other customer when I walked into the store! The special edition shopping bag I arrived early for! 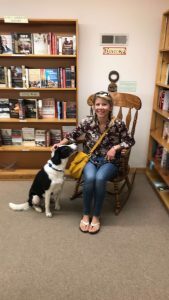 My friend Jess and her Border Collie, Bishnu, showed up to meet me just as I was turning in my completed scavenger hunt form. 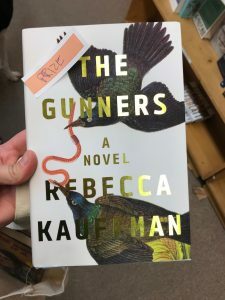 A box full of shiny new books was placed in front of me and I was able to pick one as a prize. What a delicious treat for a book nerd such as myself! I love that new book smell! Always comfortably warm and brightly lit, the shop seems to go on forever. When I leave each time, I feel panicked that I may be missing something great! 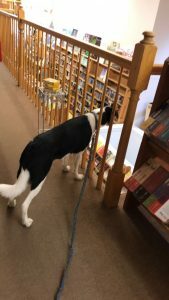 Our wanderings led us all the way to the back, upstairs, through the Bargain Books section and back downstairs. I left the book store two books and one poem richer, plus the owner of a cute new tote bag and awesome pencil pouch. Then Jess and I hit the farmer’s market. When I returned home I clearly felt the benefits of the restorative morning activities. 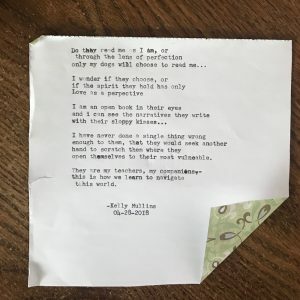 Sure, I had to get up earlier than usual for a Saturday, but it was well worth it for new connections and inspiration! 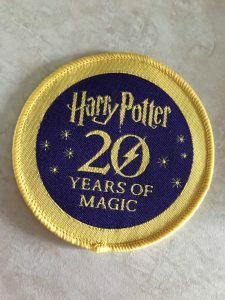 That evening, I texted my bookish bestie a picture of a patch I’d gotten free with my purchase and planned to give her. She responded with pure joy because her bookstore had run out. And it turns out she picked me up a bookmark and sticker from her indie bookstore’s festivities. That’s true bookish love! 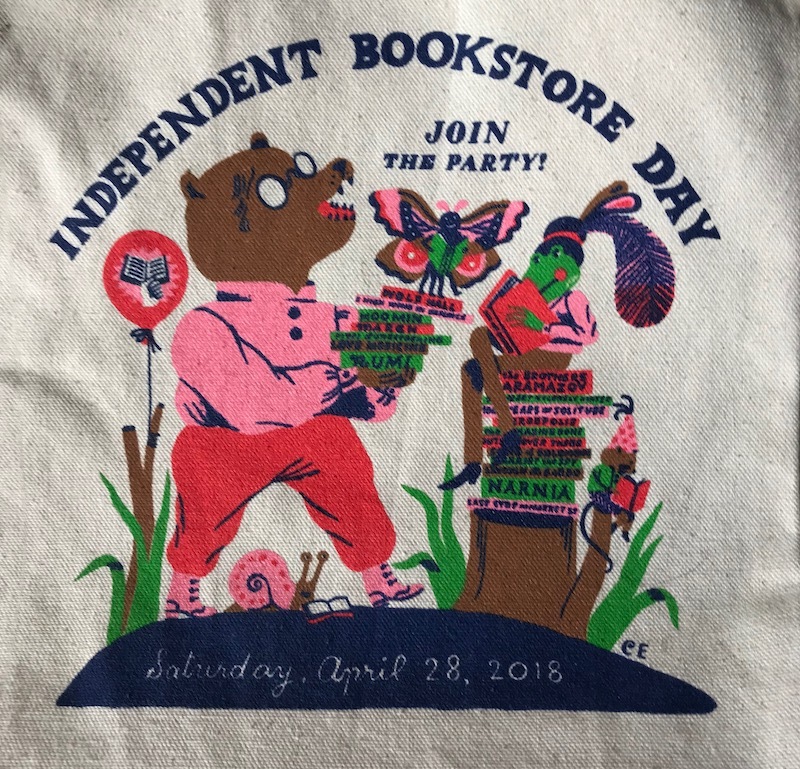 After all of that, you may be wondering what exactly is Independent Bookstore Day, and why is it so important to us bibliophiles? IB Day takes place on the last Saturday of April each year. 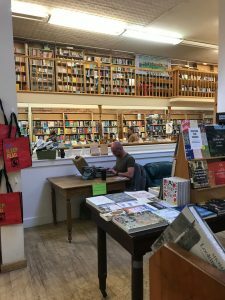 According to this article from Publishers Weekly, 507 indie bookstores in 48 states hosted celebrations this year, up more than 5% from last year’s 480 participating bookstores! IB Day is important because indie bookstores are often significant cultural hubs in their communities. They support local authors and other creative types. They can be a place for entertainment, knowledge, and connection or quiet exploration and reflection. 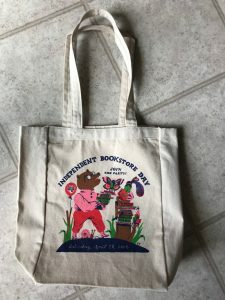 Did you do anything to celebrate Independent Bookstore Day? If not, will you keep it in mind for next year? And in the mean time, check out your nearest indie store(s)!